Taylor Swift and Tom Hiddleston are dating. And, well, you can’t open a door on the internet these days without that slapping you in the face. 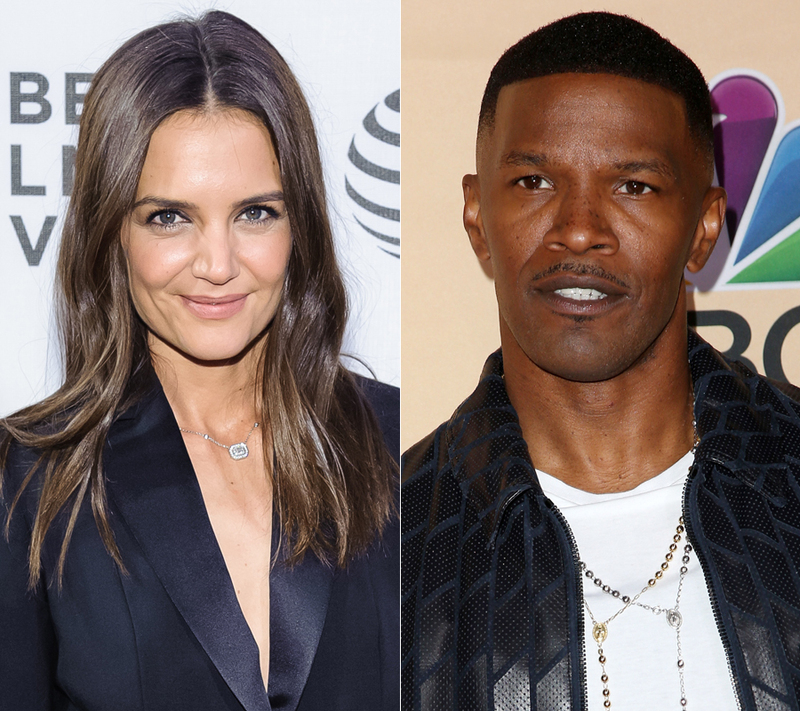 On the other end of that spectrum are Katie Holmes and Jamie Foxx who’ve been dealing with each other for almost 3 years now and Jamie would probably rather die than be photographed frolicking in the water wearing a tank top with “I (heart) KH” on it. Katie has been in Toronto all summer shooting The Kennedys After Camelot. Jamie has also been seen on several occasions in Toronto, but he doesn’t have a work excuse. His only connection to Toronto right now is her. And he was back in Toronto last week. Etalk reported exclusively on Friday that the two were out for dinner in Yorkville on Thursday night. Once word spread that the two were at the restaurant, Katie had her assistant lead her out the back door. You can see those photos here. Jamie apparently left through another exit. So on one hand we have Swoki, so overtly demonstrative of their situation that we’ve been skeptical about their situation. And on the other, Jamie and Katie have gone to great lengths to conceal their situation. Right now, I get it, because Swoki’s been so in-your-face with their Swoki loving that you would almost prefer anything to what they’ve been serving. But the Jamie Foxx method of dating… I mean is that really the ideal? Because doing it that way just leaves a backdoor. What? You were never my bonafide, so how can you make a claim on me if you find out I’m with someone else? Is there a Goldilocks “just right” lesson to be learned here? This relationship is too secret. That relationship is not secret enough. What does a celebrity relationship have to look like to be “just right”?